As with all NARS products the packaging is so slick, I love that the casing is magnetic so the eyeshadows can be stacked easily, each compact also has a small mirror for easy application. The eyeshadows are have a buttery soft finish with intense colour pigmentation. I love how shimmery they are and the sparkle really lasts! 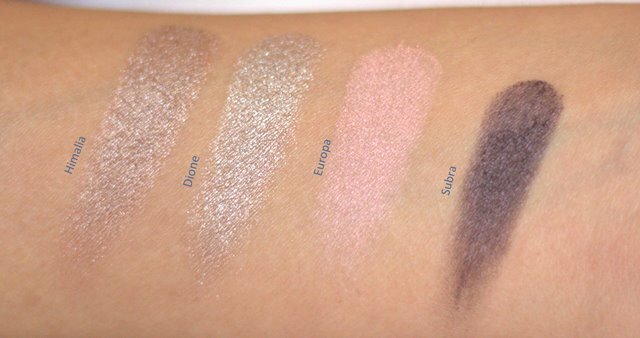 The swatches above show the eyeshadows when dry with just one swipe but when slightly wet the colours become much more intense. 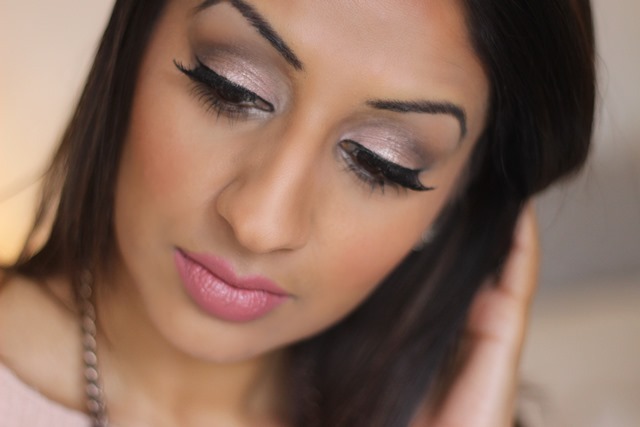 The eyeshadows are also buildable and blend so easily, if you want to see a full tutorial of me using these Dual Insensity eyeshadows, you can see my Wedding Guest make-up tutorial for Asiana.tv which shows you how to work the shimmer. These eyeshadows are just gorgeous and perfect for creating some summer shimmer which is a pretty trend this season. All twelve shades ooze sophistication whilst allowing you explore with shimmer and sparkle.